I'm officially home from Europe and back to my regular posting schedule on the blog. I hoped to be back this past Monday but unfortunately I got sick at the end of my trip and needed a few days to recover. I can't wait to share all the photos, outfits and adventures from my past month away in Europe. One of our cruise stops during our trip was in Villefranche, France. 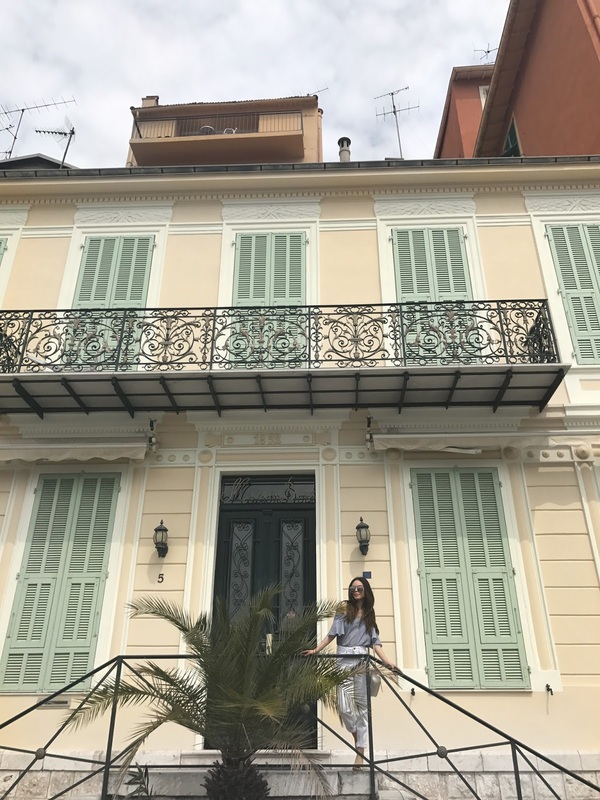 From Villefranche, we took a 15 minute train ride to Nice and explored the French Rivera for the day. I was looking forward to seeing all the colourful buildings and blue-water beaches and they did not disappoint! Corals, pinks yellows and blues were all theme colours of Nice, complete and utter eyecandy and a total blogger's dream! I had hoped to see the iconic blue and white striped umbrellas (see here) lined up in a row but unfortunately it was windy on the day we visited so they were all closed. 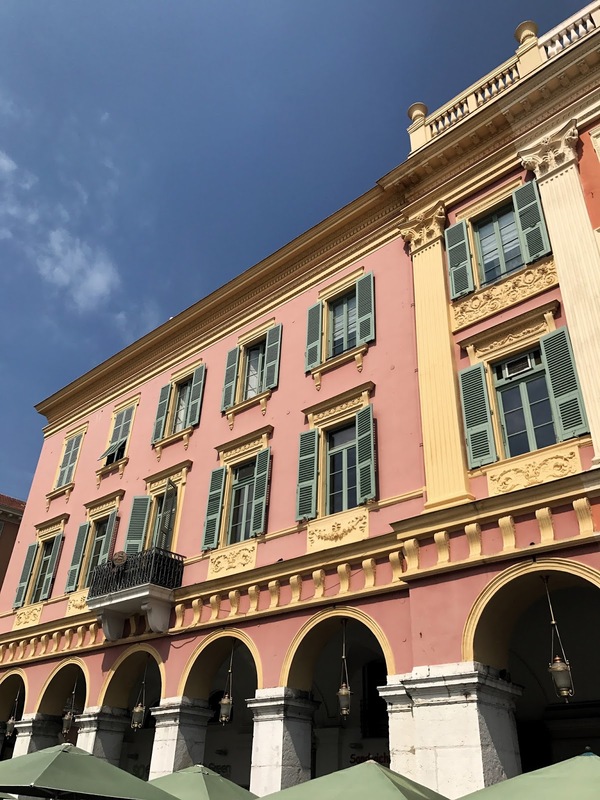 We only had one day in Nice so the hubby and I spent most of the day walking around the city, exploring the shops, especially around the beautiful Galeries Lafayette. We also spent a good amount of time along the beach, which to my surprise was completely rocky. Resorts and hotels covered the rocks with carpets so that guests could comfortably walk to their beach chairs while avoiding the sharp, hot rocks beneath their feet - talk about luxury! 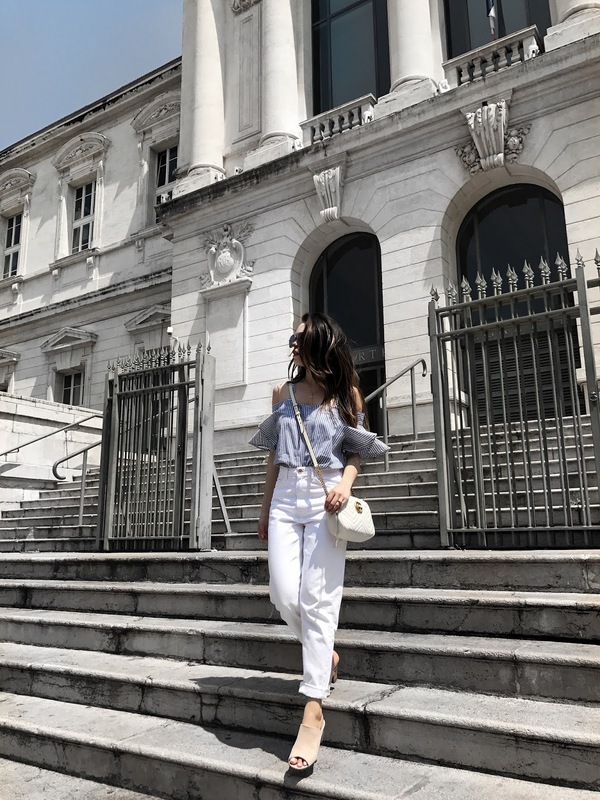 For my day in Nice, I chose a light and airy off-shoulder top by Sans Souci, which I paired with my favourite white girlfriend jeans. 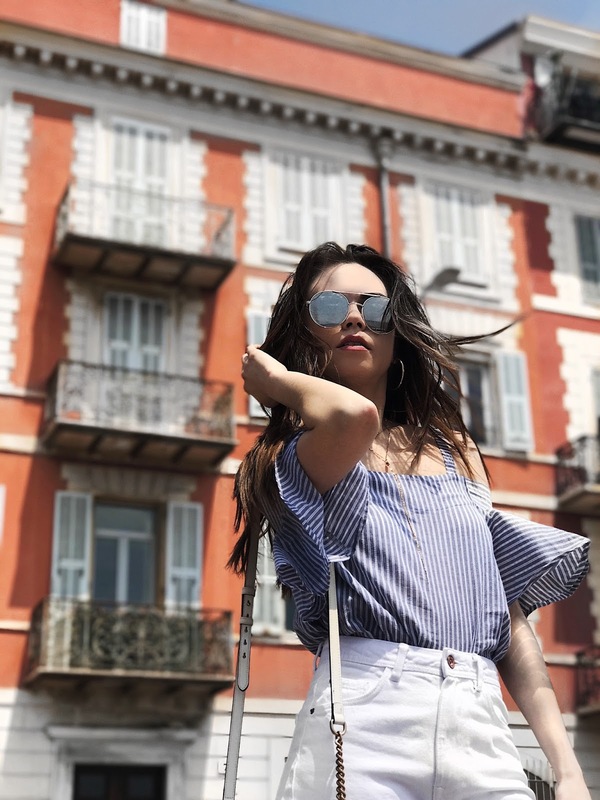 I love the nautical vibes of the blue and white striped pattern and the style was perfect for my day in Nice. I chose mules as my walking shoe of choice because they're comfortable and give me a bit of height. 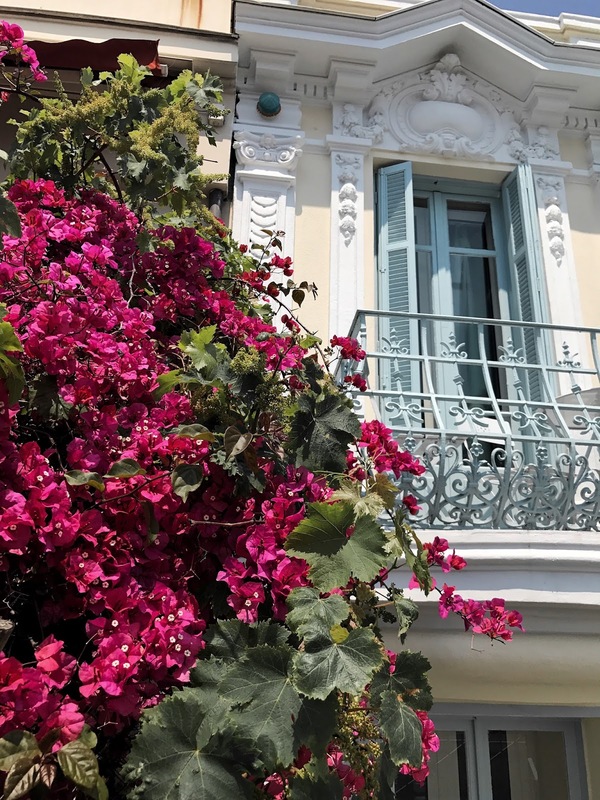 I hope to spend more time in Nice one day soon and hopefully have the chance to visit its neighbouring city, Monte Carlo next time. One day just wasn't enough to completely enjoy this colourful city. Beautiful look and gorgeous photos! 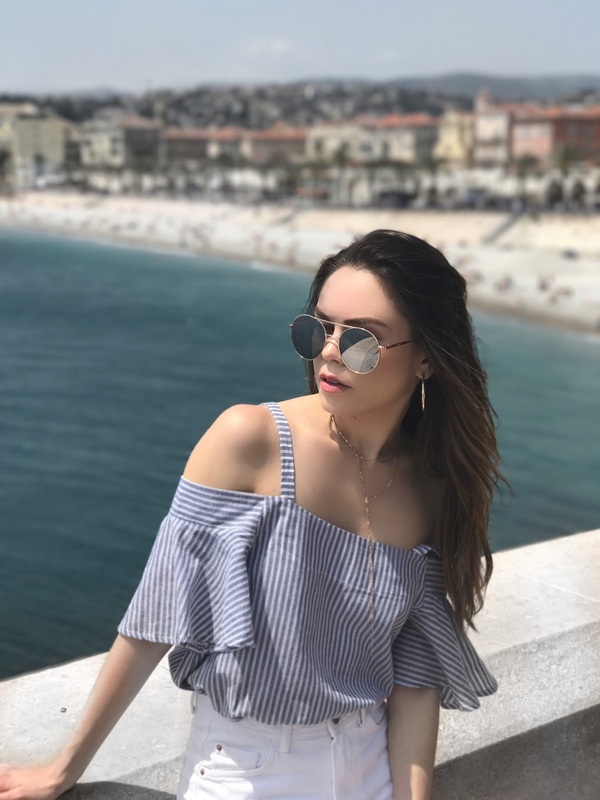 Sounds like you had a great time, Rina, and hope you are fully recovered from the long trip :) I have never been to Nice but have visited a couple of cities not far from there and they are all lovely! Looking forward to reading all about the rest of your holidays. Have a great day! You took a really long break, glad you are back to blogging. Nice pictures. Wow the views and architecture are incredible! That explains the absence... it seems like it was worth it though. PS - love that top!! Such a dreamy travel post. So happy you enjoyed yourself even for a day in Nice. This is such a cute look. I love it lots. your top is really cute. 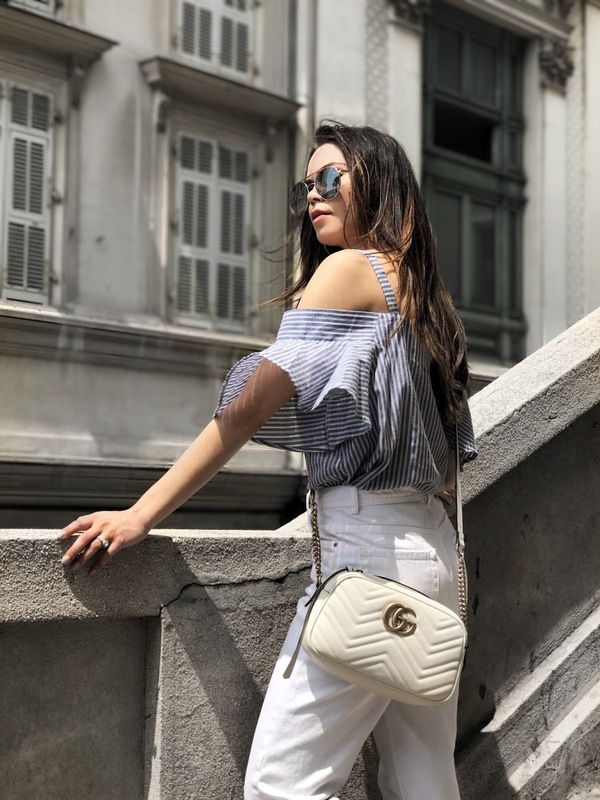 Anything off shoulder is a must hav! AMAZING blog you have babe!!! Me alegra saber que ya estas recuperada y de vuelta en casa, tú look me encanta la blusa es preciosa y la combinación de diez. Un fuerte beso. que fotos mas chulas, me encanta la blusa que lllevas! Your trip sounds so amazing! I can't wait for you to share more picks on the colorful buildings! Welcome back! 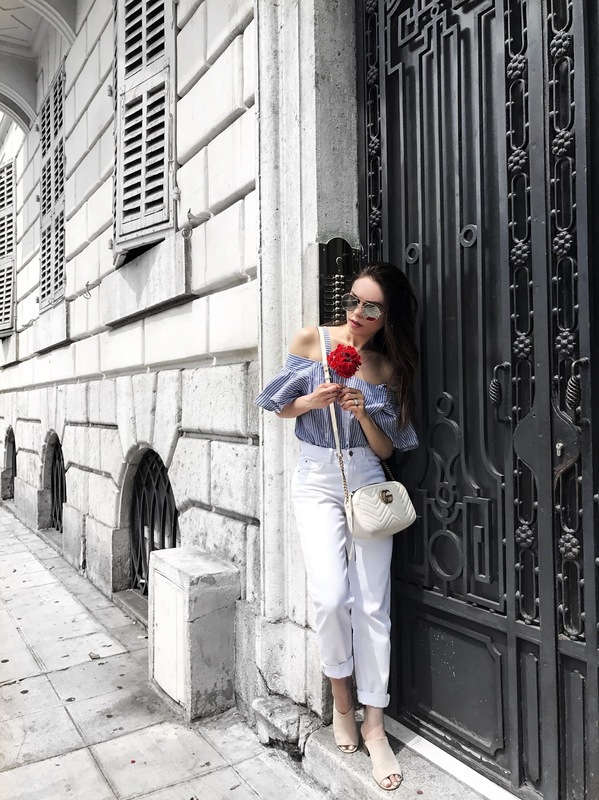 Love that top you are wearing in this post! These are beautiful photos. The French Rivera is on my wish list to visit. Love how styled the look! The top looks so good on you! Love this outfit. So chic and cool! And that bag! Europe sounds amazing. Sorry you got sick at the end. I'm you're feeling better and that you had a great vacation in Europe. I looking forward to reading all your amazing experiences. You look like summer in this outfit. 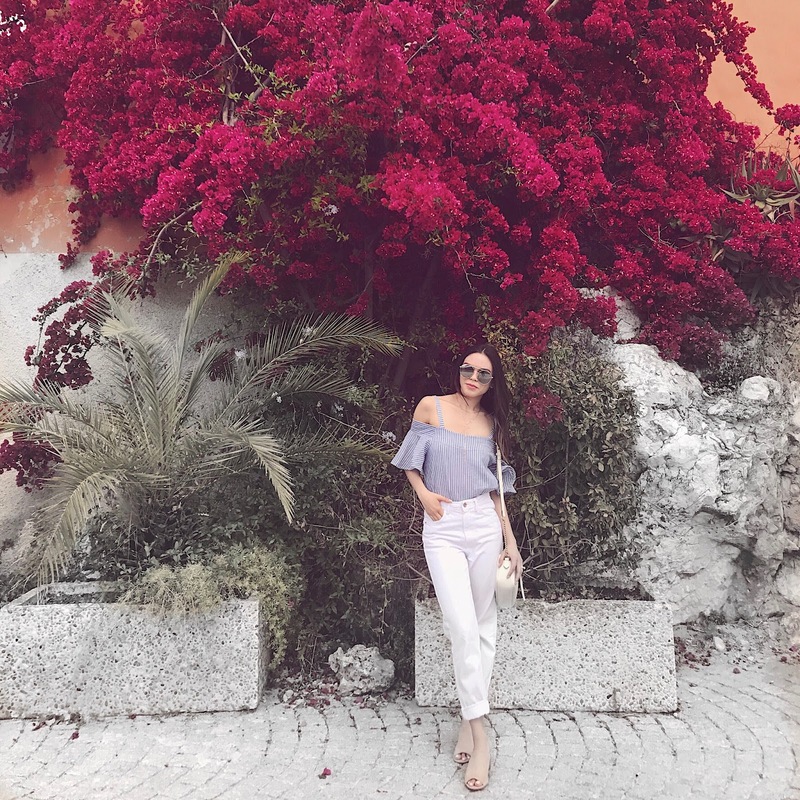 i love your top and your pictures are making me want to travel again!! Looks like such a fab place to visit! Your outfit is so perfect! Looks like you had a great vacation. Your photos are too dreamy and I wish I were there with you! Thanks babe! I really did, it's so beautiful there. This is a lovely outfit and perfect for Nice! <3 It sounds like you've had a lovely time exploring Europe! I have been to Nice a few years ago and I absolutely adore this city! I am so glad you got to visit this place. As always you look gorgeous in your easy-breezy outfit. That Gucci bag is on my wish list.